Watertown scored the first touchdown of the contest and soon thereafter, the Chargers began the scoring barrage as they scored four touchdowns in the first half en-route to a 51-14 win at Jarvis Stadium. Arkeel Newsome rushed 15 times for 84 yards and 3 touchdowns in the first half. Senior QB Elliot Chudwick was 4-for-6 for 108 yards. Chudwick tossed a 43-yard touchdown pass to Raeshawn Finney and hit Andrew Matos down the middle for a big gain. The Chargers are now 4-0 overall, 1-0 in the NVL Brass with a win over visiting Holy Cross (3-1, 1-0). The Crusaders managed to get on the scoreboard first and led the Chargers 7-0 early in the first quarter. 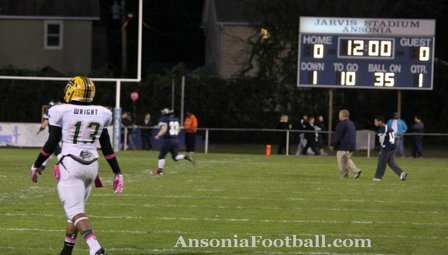 Ansonia responded with 45-unanswered points and cruised to a 45-13 victory. A week in the life: Rushed 22 times for 401 yards and four touchdowns and scored a touchdown on a 75-yard screen pass in a 55-19 win over rival Derby. 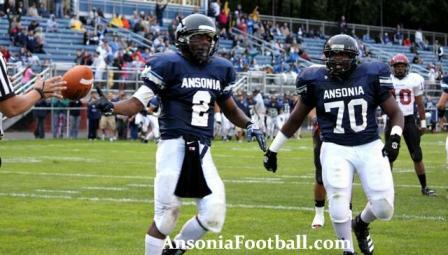 The big picture: Ansonia (3-0) hosts Holy Cross (3-0) on Friday at 7. The Chargers defeat the Derby Red Raiders by a score of 55-19 behind sophomore RB Arkeel Newsome's 22 carries for 401 yards and 5 TDs (4 rushing, 1 receiving). Arkeel rushed 22 times for 401 yards. Quarterback Elliot Chudwick tossed three TDs. 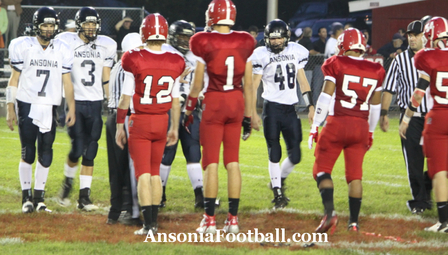 Ansonia leads the all-time series 53-28-8. Coach Brockett talks to Traditions TV about the city's football tradition what the high school game means to it. 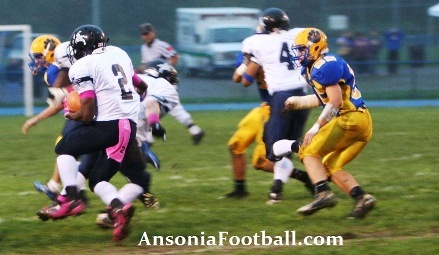 The Ansonia Chargers defeated the Torrington Red Raiders by a final of 49-20 at Jarvis Stadium on Sept. 15, 2011. Big Blue was led by sophomore running back Arkeel Newsome, who carried the ball 24 times for 319 yards and six touchdowns. Tyler Lester also added a rushing touchdown for the Chargers. 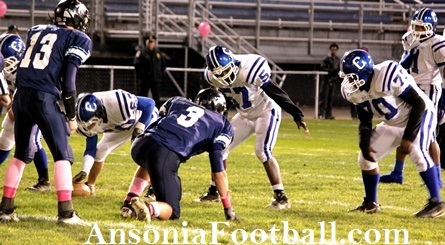 Two members of the Ansonia Football Family have left us. Allan R. Webb, son of the late Reed and Katherine Webb passed away on July 18, 2011 at the age 80. “Webber” as his friends and family referred to him was born in Washington D.C. He later moved to Connecticut where he was raised and graduated from Arnold College. As a former professional football player, Allan played for the New York Giants. Following his playing career he continued on with the Giants as an assistant coach under the direction of his close friend John E. McVay. Ansonia Football would like your help! Simple click the "Like" button and submit a comment that says "Ansonia!" Each schools' name will be tallied and the winning school will have its head football coach interviewed by Traditions! Mike Parks rushed for 122 yards. Gary Eaton rushed for 57 yards and Mark Goumas added 26 yards and a rushing touchdown. 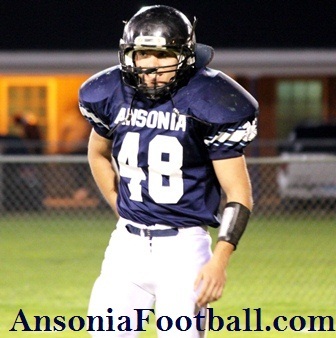 George Hokanson had an interception and a fumble recovery which led to 2 Ansonia scores. Fran Hendricks ran for 96 yards and three touchdowns. He also added a punt return for another score.